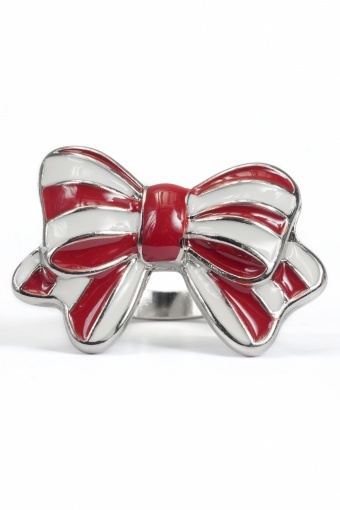 Sophisticated Red and White Striped Vintage Bow ring silver by FROM PARIS WITH LOVE! 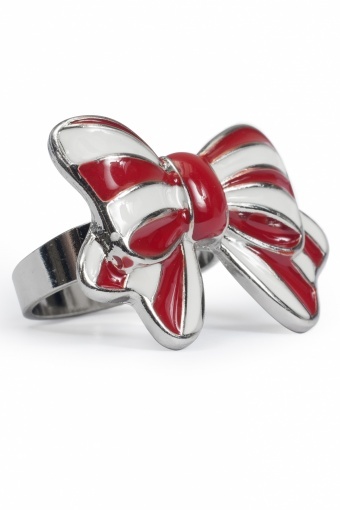 Utterly cute this ring with vitage-style red/white striper bow! This graceful bow wraps your finger like a present!